Rodman Pearce Solicitors is an established firm of solicitors based in Luton, Bedfordshire, England. The firm is rapidly expanding and services both private individuals and corporate bodies. We provide a fully comprehensive service covering a wide range of legal issues . 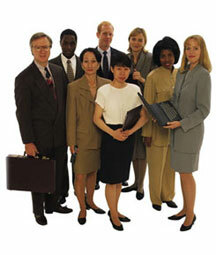 Our areas of practice are as diverse as our client base. We represent clients ranging from families in need of housing advice, to property developers and mortgage companies, to contractors and technology companies. Our lawyers also provide counsel to clients from as far away as Dubai and New York. We are reputed to fight tenaciously for victims of wrong doing, ranging from abuse of process to the violation of human rights. We regularly engage in pro bono cases and are committed to assisting vulnerable and disenfranchised people. We are regulated by the Solicitors Regulation Authority, providing an excellent service at reasonable rates in addition to publicly funded work. We are franchised by the Legal Services Commission.